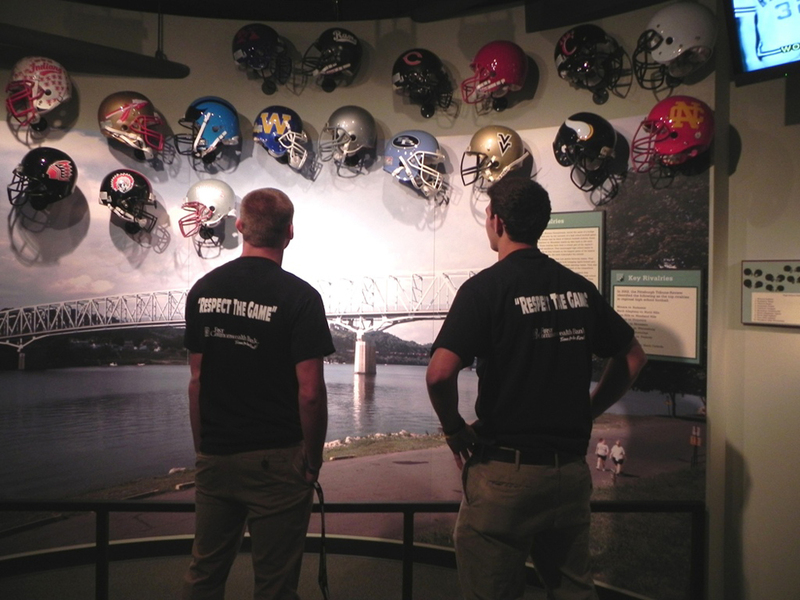 Home to the WPIAL Hall of Fame since 2007, the Sports Museum tells the well-known and almost forgotten tales of high school athletics in Western Pa., from record-setting performances and championship teams to legendary coaches and school rivalries. Founded in 1906, the Western Pennsylvania Interscholastic Athletic League (WPIAL) has been home to some of the nation’s greatest athletes and teams since the league’s inception. 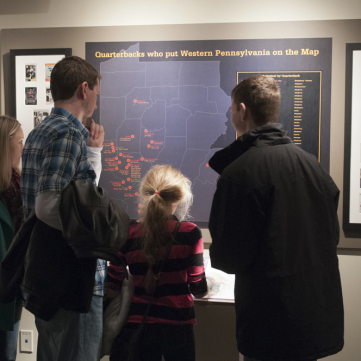 The Western Pennsylvania Sports Museum highlights that tradition throughout two floors of exhibition space and fills visitors with local sports pride at every turn. 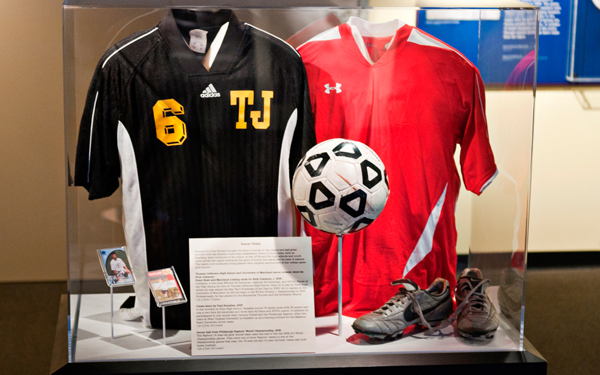 From soccer to softball, hoops to hockey, and track to tennis, the Sports Museum has the region’s high school sports covered. Friday Night Lights: Identify great high school rivalry’s in the football section’s wall of high school helmets and letter jackets. 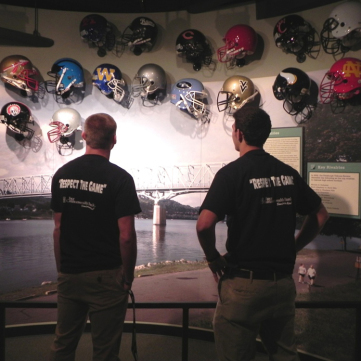 See artifacts from Jim Kelly, Bill Cowher, Dan Marino, and more of the greatest gridiron players in WPIAL history. Making History: Don’t miss items from recently crowned Western Pennsylvania high school champions, like the 2011 Valley High School state champion softball teams or the Clairton High School football squad which won a state record 66 consecutive games from 2009 through 2013. WPIAL Hall of Fame: More than 125 athletes, coaches, teams, officials, and administrators have been enshrined in the WPIAL Hall of Fame since 2007.The Sports Museum features a special display in its Ralph Kaiser Trophy Room that honors the inductees. Rich Costanzo, a two-time NSCAA All-American, regional All-American, and WPIAL Player of the Year during his time at Thomas Jefferson High School, went on to play at Penn State, where he was named the Big Ten’s Freshman of the Year in 2005. As co-captain at the University of Maryland, he led the team to the NCAA Division I championship in 2008. Professionally, he has played for the Minnesota Thunder, Rochester Rhinos, and Pittsburgh Riverhounds. WPIAL athletes pick out their alma maters in the football section’s wall of high school helmets. Read through the impressive list of signal callers who played football in Western Pa. 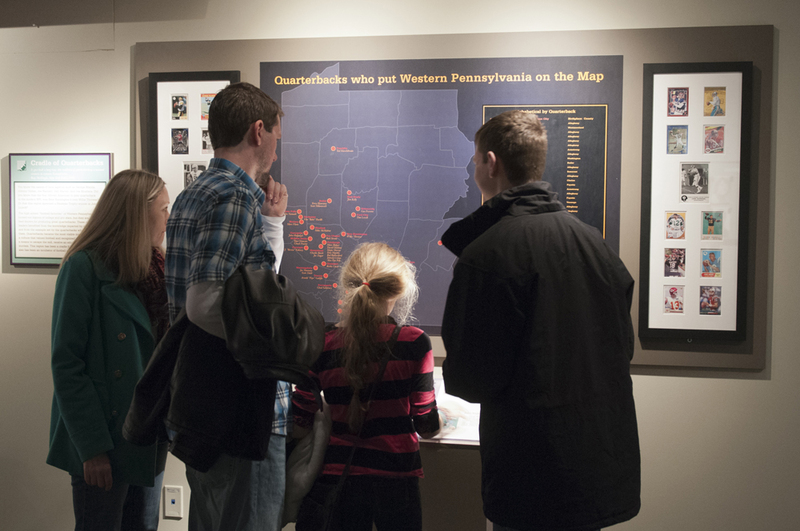 Visitors to the Sports Museum’s football section read through the impressive list of signal callers who played football in Western Pa., a region which has produced more professional quarterbacks than any other in the nation.